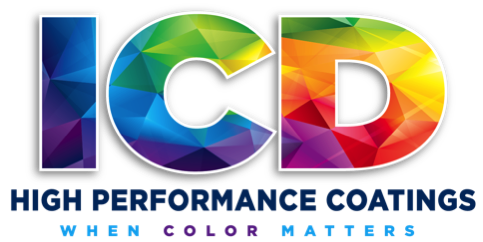 Our goal is to make this a quick round-up of useful info about ICD High Performance Coatings, the glass & glazing industry, and interesting things our CEO (Me, Kris Vockler) is reading and pondering about business and life. Our hope is you will get great value from this and want to share this with your friends! Latest from the blog: Stained Wall-Cladding Projects - It Doesn't Have to Happen! - Staining on wall-cladding isn't what you might think it is. Tips in this post are common glazing practices that will save you a ton of money, even if our product isn't used. Love his designs or hate them, you have to admit this is cool. Frank Gehry Teaches Design and Architecture @ MasterClass.com. His buildings are iconic, loved, and hated. But if you don't find this class interesting, you are nuts. I've taken two master classes from MasterClass.com; Patterson's on novel writing (yea, no, you didn't miss the novel) and Deadmau5 on electronic music production. Both were awesome, be it something you want to produce or just continue to learn. I'm in the middle of reading Fifth Wave Leadership: The Internal Frontier by Morrie Shechtman. Morrie has been in to do a workshop with my CEO group, the book was begging to be read. Very glad I am and you all should as well. My favorite quote from the book so far: "The greatest sense of satisfaction we can achieve is fulfilling our potential by growing, developing, and facing painful issues that make us better and more fully realized people." Did you get a chance to go to GANA's BEC last week? No? No, sweat, check out Max's Recap, right here. Mark my words, glass products are going to go nuts in what they can do in the next few years. Recent Glass Magazine article touches on a few things that show that growth. If you watch what is coming out of universities (like MIT), glass fabricators and glaziers need to be prepared that the complexity of making and installing glass may go up in the future.